RV Products Review Do you use or know of a RV related product that you would like to give us your opinion of good or bad, just list it here and be as descriptive as possible about it and be sure to tell us where we can purchase it at. 1995 WB 42 "The Magic Carpet"
1977 FC 31 RB "BUSTA BUS"
Question about replacement devices. My Mobley will only give out 5 ip addresses. Is there a replacement device that will give out more than 5? I have more than 5 in the bus. They dont all use data at the same time but it would be great if they could all have a connection. Currently I have turn something off to get something else to work. 2 phones, TV, Firestick, Laptop, Windows tablet, Android Tablet. I need 7 connections. We bought this 6 months ago to replace our Mobley. No complaints. Highly recommended. edit: I just read Clint's post. We haven't experienced the PUK code issue. 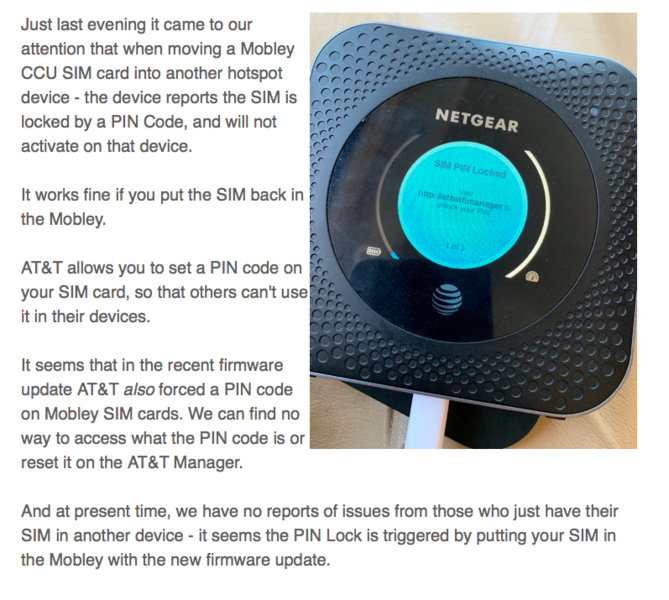 Then again, we made the swap 6 months ago, so it's possible that our SIM card didn't get the latest firmware update via the Mobley. 1997 WLWB 43' "BB Belle"
I don't mean to hijack this thread but wanted to share one last thing. Within the Netgear settings there is the option to activate/deactivate SIM security (PUK?). 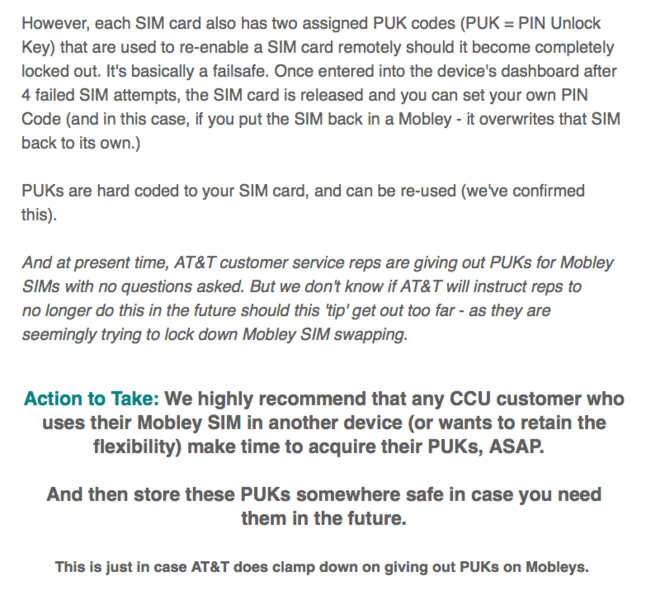 Not sure if this helps if your SIM is locked (and you don't know the code) since activating/deactivating means having to connect to the device and going into the settings; a task which might require the PUK code. Last edited by Kev; 10-17-2018 at 01:30 PM.